Custom ROMs are a great way to enjoy features that aren’t usually available on stock ROMs. 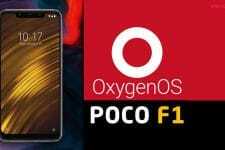 Besides, you can also try the latest Android versions long after your phone’s OEM has stopped sending new OS updates to your device. 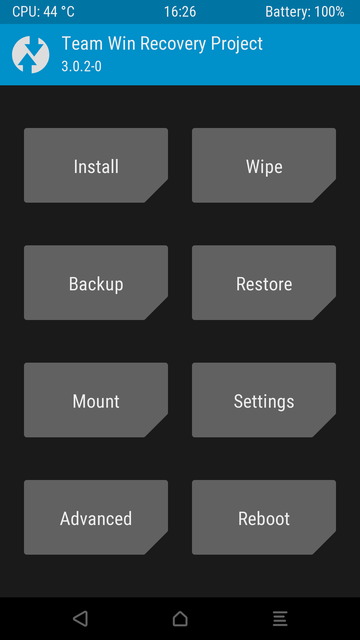 Here is how you can install or flash custom ROMs on Android devices using TWRP recovery. When you got your shiny new Android device, it looked great, probably had the latest version of Android, and it worked like a charm. If you happen to be a smartphone lover like us, we get your level of enthusiasm. But as great as Android is, there are a few major shortcomings. One of them is that the device will slow down with time. The rate of the slowdown can very well depend on the version of Android you’re using, but you will notice that occasional stuttering at some point. There is also a pretty good chance that you won’t be getting any more updates beyond that point. It’s all downhill from there. But, because Android is still awesome, you can breathe a new life into it if you flash custom ROMs on your Android. If you bought yourself a Nexus, or a Pixel, or a device that runs stock Android, you’re probably not going to be as impressed as someone who had a Samsung, a Sony, HTC, LG, HTC. 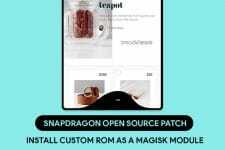 As an avid custom ROM user, I’ve witnessed it countless times when a sluggish device is transformed into one with fluid animations and a smooth performing one. It’s a good feeling. Apart from bringing back the same giddy feeling when you first bought your Android, custom ROMs have a lot more to offer. For instance, the latest updates, and the ability to own and customize your device’s software experience like you couldn’t imagine. Of course, there is nothing in this world that does not have a bad side. In the case of custom ROMs, it’s voided warranty and some major/minor bugs. Then there’s the possibility that you end up killing your device instead of breathing a new life into it. It’s like repairing hardware that sort of works. If you don’t know your stuff, you’re going to mess with it. It’s not something for the faint-hearted. When I tried rooting my Samsung Galaxy Ace Plus (it’s old, I know, but this is an old story), I bricked it. And I had no idea what is flashing or bootloaders or anything at all. Except that if I can root my phone, I could customize it to the core. The good thing is, I was as normal I could be, for some reason. Panicking is never a good solution. So now that you know what you’ll need inside your heart, let’s get to what you’ll need outside it. Warning: Flashing unofficial third-party firmwares can brick your device and voids warranty. DroidViews does not take any responsibility in such a scenario. The guide below is a general guide and depending on the ROM and your device, sometimes, a slightly different method may be required. Do your own research before flashing a custom ROM. First of all, you will need an unlocked bootloader. Then you will need to install a custom recovery. TWRP recovery is the most widely used these days. You can try searching for “unlock bootloader yourdevicename” here on DroidViews and there’s quite a good chance you will find a detailed tutorial on how to go about it. 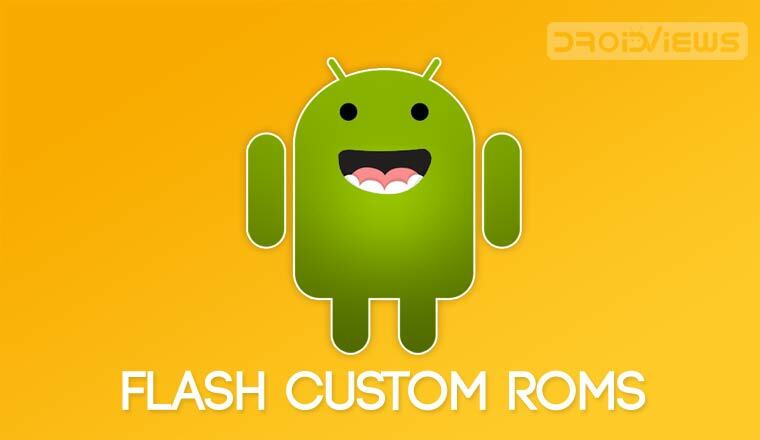 Once you fulfill the above two requirements, you will need a custom ROM of course. 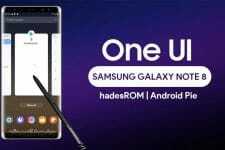 There are countless different ROMs available out there and if your device made even a decent amount of sale, you’re very likely to find custom ROMs for it. A large number of independent developers work and make these ROMs available for free. There are a few websites to look for a custom ROM but the only one you need to check out is XDA developers. 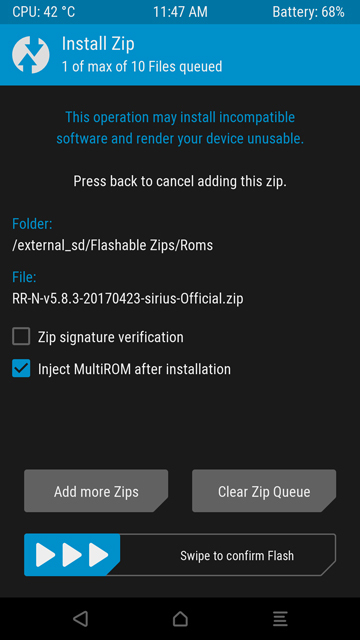 These ROMs are usually available as large zip files that you can flash from a custom recovery. The easiest way to look for a dedicated forum for your device is to google “yourdevicemodel XDA”Keep in mind though that you should download a ROM specific to your device model. A ROM for the GSM Galaxy Nexus known as “maguro” may not work for the Verizon version was known as “toro”. There are also chances that it might. So do your research before downloading anything. Make sure your battery is charged enough. It should be at least close to 75% if this is your first time. Alright, so now your device has an unlocked bootloader, has TWRP recovery installed, and you have downloaded a custom ROM and GApps (optional). Now transfer both the ROM and GApps to your phone. Reboot your phone to recovery mode. The button combination to do this is different for different devices. So you may have to google “yourdevicename boot recovery mode” if you don’t know how to do it. When your phone boots into recovery mode, you should see a similar screen as below (assuming you installed the TWRP recovery). In case you are asked if you want to allow modifications, Swipe right to allow them. It is a safe practice to create a full Nandroid backup of your device at this point. This ensures that if you mess up somewhere you can at least revert back to how your device was. This does not back up any files on your internal storage though, so you might want to back it up on your PC or some external storage. However, when flashing ROMs, backing up the internal storage is usually unnecessary. 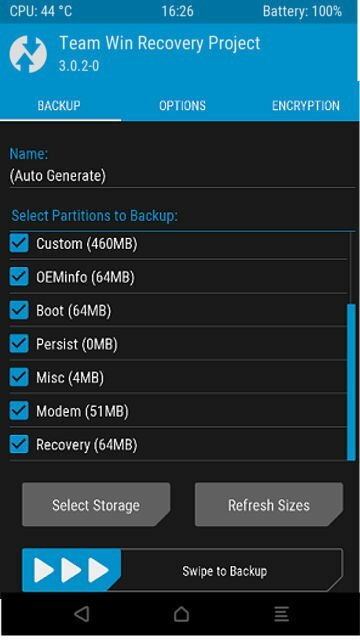 To create a Backup, tap on the Backup option in the TWRP menu. Select all the available partitions and give the backup a name. If you don’t provide a name manually, TWRP will automatically give it a name. Swipe right to start the Backup process. It is a lengthy process so give it time. 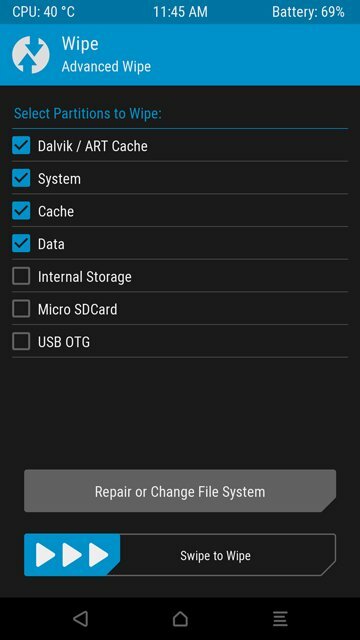 When the Backup process completes, go back to the main menu and select Wipe > Advanced Wipe and select Dalvik Cache, Cache, Data, and System. Do not choose the internal storage, unless you want to wipe it. Swipe right to Wipe all the selected partitions. Go back to the TWRP home screen and now select Install. 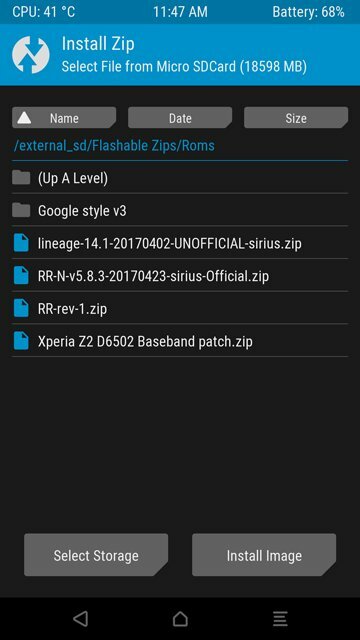 Browse to your ROM zip and select it. Then tap on Add more Zips and select the GApps package. Swipe right to flash both. The flashing process can take a few minutes depending on the ROM and GApps and your device. Once it is done, select Reboot system. If TWRP asks if you want to install SuperSU now, choose Do Not Install. The first boot after flashing a ROM takes longer than usual.